We’ve got stories today from both sides of the 49th parallel about US duties on Canadian paper makers. The US Department of Commerce announced that preliminary antidumping and countervailing duties will be imposed on about 25 Canadian plants. According to NORPAC’s CEO, this will level the playing field for “workers and families that have been victims of unfair Canadian trade practices“. Publishers of US newspapers are fearful that this move will have a devastating impact on their sector, already struggling to compete with digital. Newfoundland’s Premier Dwight Ball spoke out “against the increased protectionist environment that exists in the US“. Homebuilders in the US are feeling a pinch in the face of increased demand for homes. On top of growing wages and competition for workers, environmental factors and tariffs on Canadian lumber have pushed up the price of building materials, according to a Real Estate Consulting Group survey, and NAHB chief economist Robert Dietz. In forestry, Port Renfrew old growth trees will soon star in a new IMAX movie; restrictions in Nova Scotia have been set up to quarantine the hemlock woolly adelgid; and forestry is a top employer in Georgia, where 145,000 are employed by the sector. Finally, not sure what to do with your Christmas tree? How about returning it for a full refund?! SANTA CLARITA, Calf. — While the rest of us were debating where to abandon our trees, one woman decided to take her’s back for a refund. So come January, the woman reportedly wanted her money back for her once lively Christmas tree because it was now dead. Customers at the Costco in the suburbs of Los Angeles were blown away, and one man couldn’t help but post the rest of the details on Facebook. “I can’t make this stuff up,” he wrote. “Woman in line at Costco, totally nonchalant, to return her Christmas tree ‘because it is dead’ on January 4.” Amazingly, she actually did get her money back, according to the post. But not without a little bit of shaming from the store and other customers. The U.S. Department of Commerce has slapped a 9.93 per cent duty onto newsprint from Corner Brook headed into the United States. …“The United States is Newfoundland and Labrador’s largest trading partner representing close to 60 per cent of all goods exported from the province. As a government, we have worked vigorously to advocate for local businesses and workers, including Corner Brook Pulp and Paper, against the increased protectionist environment that exists in the United States,” Premier Dwight Ball said, in a statement issued shortly following the decision. …Earlier on Tuesday, the provincial Progressive Conservatives issued a statement ahead of the decision out of the U.S. questioning the ability for the provincial Liberal government to make the threat posed by a tariff, applying to half of the product from the Corner Brook mill, a national priority. In a victory for Norpac — and potential blow to local newspapers — the U.S. Department of Commerce announced Tuesday that it will start imposing preliminary antidumping and countervailing duties on Canadian paper producers. …“Today’s affirmative decision by the Department of Commerce confirms that Canadian uncoated groundwood papers benefit from significant levels of government subsidies,” Norpac CEO Craig Anneberg said in a press release. “What the U.S. uncoated groundwood papers industry wants is a level playing field, and this decision is an important step forward for American producers, workers and their families that have been the victims of unfair Canadian trade practices for too long.” The federal and provincial subsidies include government grants, tax breaks, subsidized loans, raw materials at below-market costs and cheap subsidized electricity, according to Norpac. TORONTO — Newsprint is the latest Canadian product to be hit with preliminary countervailing duties from the United States. The U.S. Department of Commerce slapped an overall tariff of 6.53 per cent on about 25 Canadian plants, mostly in Quebec and Ontario, following an investigation that began in August 2017. Canada is the largest exporter of newsprint in the world, with a market dominated by Resolute Forest Products, Kruger and Catalyst Paper Corp. of British Columbia. Resolute faces a preliminary duty of 4.42 per cent while the Catalyst Paper duty is 6.09 per cent, Kruger’s is 9.93 per cent and the White Birch duty is 0.65 per cent. The U.S. Department of Commerce will make another decision on anti-dumping duties in March and the U.S. International Trade Commission will be asked to rule on the two measures in August. The U.S. Department of Commerce has decided to impose initial duties of up to 9.93 per cent against Canadian newsprint sold south of the border. The Commerce Department made its ruling late Tuesday on countervailing duties, saying Canadian producers of uncoated groundwood paper such as newsprint are receiving subsidies. A second decision is scheduled by March 7, when the Commerce Department will rule on whether to slap anti-dumping tariffs on Canadian shipments of groundwood into the United States. U.S. newspaper publishers have been warning that a combination of countervailing and anti-dumping duties will have a devastating impact on an industry already struggling to cope as readers increasingly make the transition from printed products to digital devices. 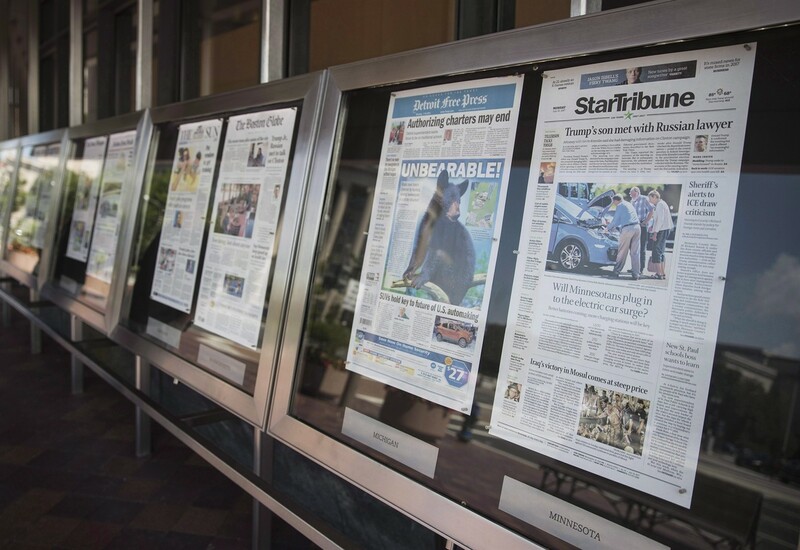 A wide range of U.S. senators and members of the House of Representatives – Republicans and Democrats – have sided with American newspaper publishers and printers. VANCOUVER – …In late November, Canada’s Digital Technology Supercluster submitted its final application to the Government of Canada’s Innovation Supercluster Initiative after being shortlisted as one of nine concepts under consideration. 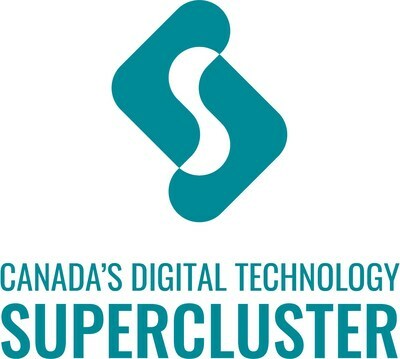 …It is no surprise, given the regional focus from which superclusters often emanate, that Canada’s Digital Technology Supercluster is BC-born. British Columbia has a geographic advantage as Canada’s gateway to both Asia — the fastest growing global economy — and the Cascadia Innovation Corridor along North America’s West Coast. …”Canfor signed on as a member of Canada’s Digital Technology Supercluster after seeing the global reach of the consortium and the sustainable challenges it can address along with other industry leaders like UrtheCast and Teck. As a leader in integrated forestry products with Canadian roots and global reach, it was important to join,” said Don Kayne, CEO, Canfor. In a perfect world, all manufacturing processes would have no appreciable impact on the environment. …As with other industries, the Pulp and Paper sector has worked to improve its environmental footprint. …Since taking over the Abercrombie mill in 2011, Northern Pulp has been making efforts to be as eco-conscious as present technology allows. The disconnect for the public, however, seems to be the perception that simply creating a closed-loop (zero-effluent) system in the proposed new effluent treatment facility will solve all environmental issues, and that Northern Pulp is not willing to create such a system because of its hefty price tag. The reality is bleached Kraft mills (which is what Northern Pulp is) cannot be zero-effluent. It is not a question of money, rather a result of current technology limitations. While 2017 was a hot year for the housing market, homebuilders face cost challenges that will carry through 2018. According to John Burns Real Estate Consulting Group’s survey of 300 homebuilding executives, 40% were surprised by how much their costs increased last year. Builders have to increase pay for workers as “stronger than expected sales have pushed construction trades to the limit,” said John Burns’ SVP Jody Kahn. She specifically cites the lack of immigrant labor as a headwind. …“Lumber was on an upward trend even before some of the catastrophic natural disaster events that we’ve seen… So that’s the one that I think we all need to be paying attention to for 2018. The lumber impacts could be longer lasting,” he said. The reason for the increase in lumber price is, in part, due to the tariff on Canadian lumber, which comes amid talks to renegotiate NAFTA terms. The newly enacted tax law will create a more favourable tax climate for the business community, which should spur job and economic growth and keep single-family housing production on a gradual upward trajectory in 2018, according to economists speaking at the NAHB International Builders’ Show in Orlando, Fla., Tuesday. “We expect that tax reform will boost GDP growth to 2.6 per cent in 2018, and this added economic activity will also bode well for housing, although there will be some transition effects in high-tax jurisdictions,” said NAHB chief economist Robert Dietz. …However, builders will continue to deal with ongoing supply-side headwinds this year that will dampen more robust growth. …The ongoing U.S.-Canada softwood lumber trade dispute is further exacerbating the situation, as the price of softwood lumber has increased 20 per cent from a year ago. WASHINGTON, DC — The American Forest & Paper Association (AF&PA) announced its top 2018 advocacy priorities that include free and fair trade, transportation efficiencies, regulatory process reforms, and government policies that respect market dynamics for paper-based products. The association will pursue them as it supports the pulp, paper, packaging and wood products industry’s ability to grow the economy and create American manufacturing jobs. …AF&PA’s top advocacy priorities for the coming year include: free and fair trade policies that recognize our strong global position are essential. As policymakers weigh potential changes to the North American Free Trade Agreement (NAFTA), we will work to ensure Canadian and Mexican markets remain open to our industry’s exports and recognize the benefits of our interconnected supply chain. Portland, Ore.—The U.S.-based non-profit Green Building Initiative (GBI) announced earlier this week that it has completed acquisition of the global rights to Green Globes ®, a leading sustainability rating system for commercial and multi-family buildings. This acquisition from JLL now allows GBI to support existing Green Globes users in Canada, in addition to the United States, and to expand the reach of the rating system globally. “This acquisition is a clear win for GBI and our growing base of Green Globes users,” stated Vicki Worden, President & CEO of GBI. “Consolidating Green Globes under GBI was a logical and natural next step to further our mission to accelerate the adoption of green building best practices in the built environment.” …“Green Globes is filling a gap in the market,” stated Rich Mitchell, Managing Principal at Portland, Ore.-based Mackenzie and elected Chair of the Board of GBI. The University of Idaho in Moscow, Idaho, has partnered with the state’s timber industry, and Portland-based Opsis Architecture, to construct their newest multi-use basketball arena out of mass timber. …Designed to showcase the massive curvilinear roof that drapes itself over the building, Opsis has chosen to leave the structural timber elements exposed throughout the project. V-shaped timber columns are on prominent display above the entrance, while the underside of the roof features a curving lattice of wooden beams that’s visible from everywhere in the building. Light wood finishes have been used in the few interior areas where the structural elements are hidden, and the building’s exterior will be clad in metal paneling. If completed, the Arena will be the largest mass timber arena in the country. They’re known as Canada’s tall trees the gorgeous giants part of the old growth forest in Port Renfrew are a magnificent sight to see. …So, it was no surprise they caught the attention of internationally acclaimed artist Kelly Richardson, who took a job with the University of Victoria to be closer to the ancient giants. Richardson is known for creating hyper-real digital films of rich and complex landscapes using CGI, animation and sound. …Infatuated with their beauty she hopes to bring the old giants to life on the IMAX screens for her latest work to celebrate 50 years since its invention. …But for her, it’s about more than just a visual experience. …Because while clearly magnificent to look at and a giant in size, the old growth trees are endangered. Laura McLean, the last surviving McLean in the Alberni Valley, has passed away at the age of 92. Laura is remembered as the woman who gave the McLean Mill to the city of Port Alberni on behalf of the McLean family. But Laura is also remembered by her family and friends as a community-oriented woman who loved the Alberni Valley. …The McLean Mill was established in 1925 by Robert Bartlett McLean, his wife Cora, and their three sons. It was a family-run operation. …Laura donated McLean Mill to the city shortly after her husband’s death in 1983 because she—and her late husband—wanted to see the mill’s history preserved. The McLean Mill was designated a National Historic Site of Canada in 1989, and opened to tourists in 2000. People who work in Nova Scotia’s forestry industry say new federal restrictions on the movement of wood products in five counties in the province are unclear, and costly. Woodlot owners, mills and firewood vendors are all impacted. A wide range of wood and wood products are not allowed to leave Digby, Queens, Shelburne, Yarmouth and Annapolis counties. 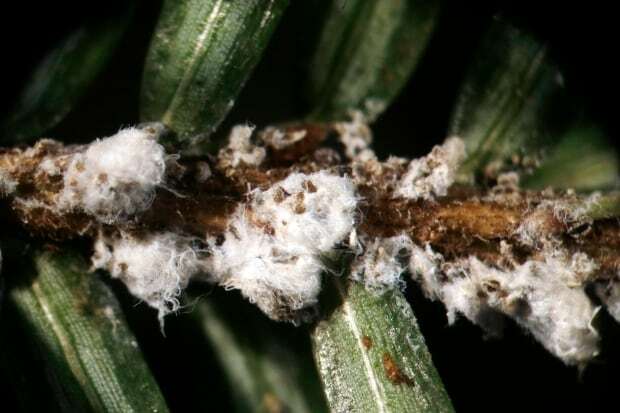 The restrictions were put in place Dec. 19 by the Canadian Food Inspection Agency to stop the spread of the hemlock woolly adelgid, an aphid-like insect that attacks and kills hemlock trees. “It’s getting to the point that I really need to know something,” said Wade Turner, president of J.A. Turner and Sons, a mill outside Bridgewater that sources some of its wood from nearby Queens County. A state board announced this morning it will cut regulations to speed removal of dead or dying trees on property damaged by wildfires in three counties. The California Board of Forestry and Fire Protection stated an emergency regulation which takes effect Jan. 22 allows for the cutting or removing of dead and dying trees around damaged or destroyed legally permitted structures. It describe the change as allowing applicant notify the board using “expedited” notification rather than go through the process of preparing a timber harvest plan. The emergency regulation applies to Mendocino, Napa and Sonoma counties. The North Bay Wildfires were the deadliest and some of the costliest wildfires in California history. The largest of the fires burned approximately 185,000 acres, destroyed approximately 9,200 homes, and damaged approximately 790 additional structures. U.S. Forest Supervisor Rob MacWhorter is seeking comment on a proposal to harvest trees killed in the Chetco Bar Fire last summer, before they succumb to insects and rot. “The intent of the project is to recover marketable value in fire-killed trees … before they become unsuitable for processing by local mills,” MacWhorter said in a press release. 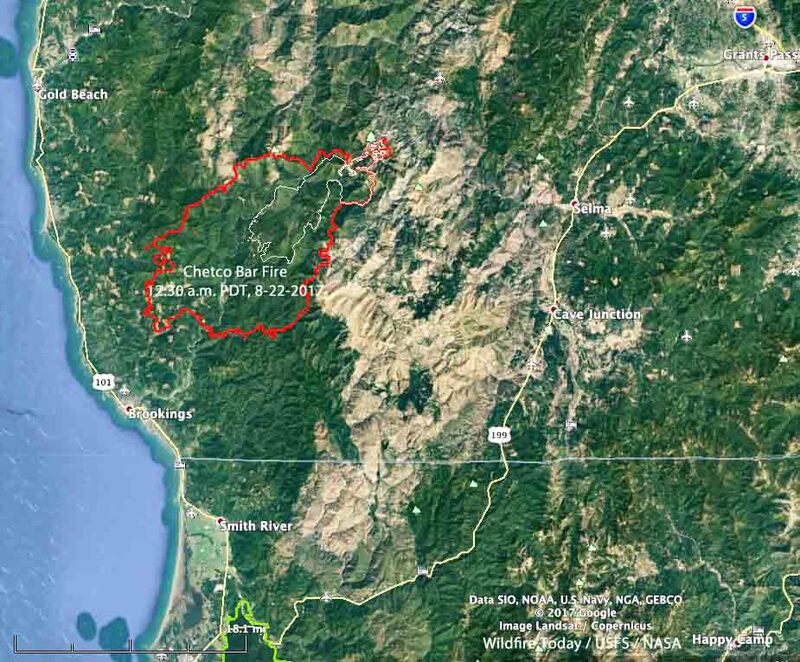 …Immediately following the containment of the Chetco Bar Fire, the Burned Area Evaluation Team conducted research and submitted a report analyzing effects of the fire on everything from the soil to watersheds. In addition to proposed salvage operations, the BAER team recommends the forest service address even more hazardous trees along roads and near recreation areas and start replanting efforts. ..It is also important, he said, to get to these trees quickly to capture the value of the timber and re-establish the forest. BOZEMAN – A Montana State University environmental scientist was recently awarded $312,000 from the National Science Foundation to study how cumulative forest management decisions at local scales influence the health of forests and the ecological services they provide at large scales. The award is part of a $1.2 million grant in which MSU researchers will collaborate with the University of Florida, University of Alabama, University of Wisconsin, Colorado State University and Boston University. “Forest management is an extensive and continual driver that shapes forest structure, affecting the success of associated communities of plants and animals, as well as the forest ecosystem services that maintain human well-being,” said William Kleindl, assistant research professor in the Department of Land Resources and Environmental Sciences in the MSU College of Agriculture. …Out here in Oregon, last year, we had another record year of forest fires. You would think that everyone would recognize the importance of not burning up our forests, for a whole host of reasons. Not these environmentalists, though. Their first claim is that it’s all because of climate change. Now I’m not here to make any claims about the validity or invalidity of climate change. All I know is that our national forests are burning up. However, that is not true of our well managed private forest lands. In fact, about the same number of fires started on private land as on federal land. However, over 95 percent of the acres burned were on federal land. If it was all due to climate change, wouldn’t just as many private acres burn as public? CHURCHVILLE — The lush beauty of the George Washington National Forest in Augusta County is apparent to any visitor, but especially to the keen eye of retired U.S. Forest Service employee Brian Stout. During a 34-year career with the Forest Service, Stout had many assignments, including a final one as the forest supervisor of the 3.5 million acre Bridger-Teton National Forest in Wyoming. 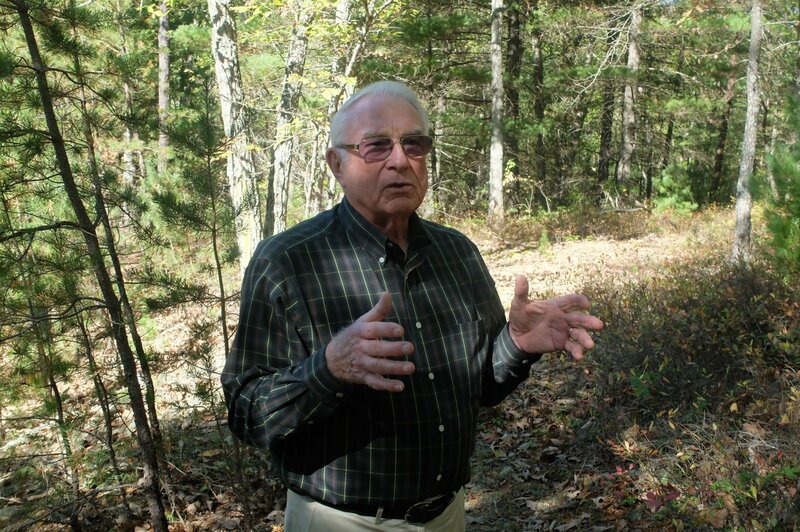 …”Diversity is most critical in managing the forest,” said Stout. Stout is a man on a mission. Since his retirement, he has preached about the science of forestry, writing a 2013 self-published book called “Trees of Life: Our Forests In Peril.” He is now working on attracting grant funds for a documentary on the same subject. Plans call for producing a one-hour documentary that could air on PBS stations. His greatest fear is the rapid deforestation of the planet Earth. 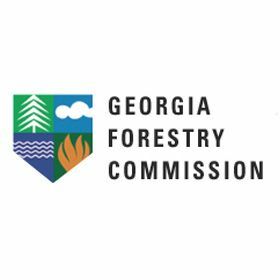 A new report shows Georgia’s forest industry continues to provide a substantial impact to the state’s economy. In 2016, notable increases were recorded in the number of jobs, compensation paid to employees, and output – the total revenue generated by the industry. That figure rose 9.6% from the previous year to $35.2 billion. According to “Economic Benefits of the Forest Industry in Georgia, 2016,” from the Georgia Institute of Technology’s Enterprise Innovation Institution, strong gains were made in categories across the board. …The report shows across all manufacturing industries in Georgia, the forest products industry ranked first in total compensation at $3.7 billion. In addition, the industry provided the state with $778 million in tax revenues for 2016. The Mississippi gopher frog (or the “dusky gopher frog” in official federal parlance) may soon get his 15 minutes of fame, but the frog deserves better than being a pawn in a case that pits an overreaching government agency against property owners. The U.S. Supreme Court has been asked to take a momentous federalism and property rights case because its ramifications will extend far beyond the fate of a frog. The case the court should take would answer an important question. The stakes in Weyerhaeuser v. U.S. Fish and Wildlife Service are plain: Does the Endangered Species Act give the federal government, at its choosing, virtually complete control over any and all land, public or private, throughout the United States? The bureaucrats at the Fish and Wildlife Service, ever eager to claim this ultimate turf, says it is only looking out for the interests of the frog. Will the High Court consider the interests of the rest of us? Prince of Wales Island sits at the southern tip of Alaska’s Alexander Archipelago, its dense forests and tiny communities accessible only by boat or an hour’s float plane flight from Ketchikan. …At six public schools across the island, the installation of modern wood heating systems has fueled a surge of energy savings, student entrepreneurship and, surprisingly, improved nutrition. By switching from expensive heating oil to wood heat, schools save money and students and residents earn pocket money by cutting firewood and stoking the boilers. …Across Alaska, 13 schools heat with wood and two more under construction. Statewide, 39 modern wood heat systems are operating, most with strong performance records. …But the local employment benefits of using wood heat are reliable and significant. The twin desires to provide local jobs and bolster local self-reliance motivate community wood heat champions. Increasing renewable energy in Europe should not entail cutting down and burning entire trees, more than 650 scientists warn in a letter sent on Tuesday to Europarliamentarians ahead of their vote in Strasbourg next week on extending the Renewable Energy Directive. Wood residue and waste… are already being used as biomass alternatives to fossil fuel, which reduces the amount of carbon dioxide that would have been given off if they were simply allowed to decompose. On the other hand, cutting trees for bio-energy releases carbon that would otherwise have been locked in by forests. It also uses up wood that otherwise would have been used for other products. This would lead to the cutting of other trees, elsewhere, to replace them, the scientists warn. Professor Jean-Pascal van Ypersele, former deputy chairman of the UN Intergovernmental Panel on Climate Change, is among the signatories.